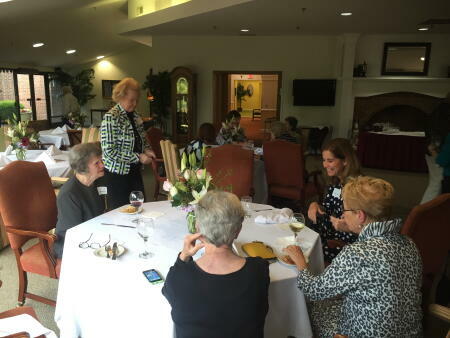 Moore Women – A Giving Circle held its first One and Done friend-raiser at Pine Knoll, St. Joseph of the Pines in Southern Pines. The event was attended by members and their guests and was hosted by Lin Hutaff and Michele Kastner. 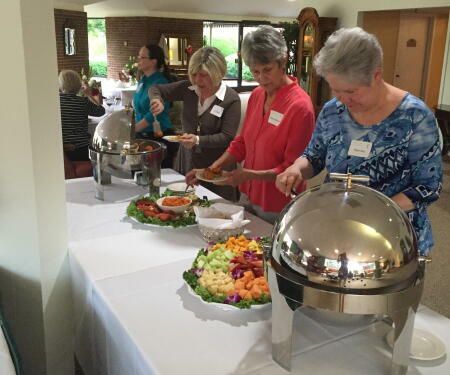 Steve Kastner, CEO of NCCF fundholder St. Joseph of the Pines, graciously provided the meeting space and refreshments. 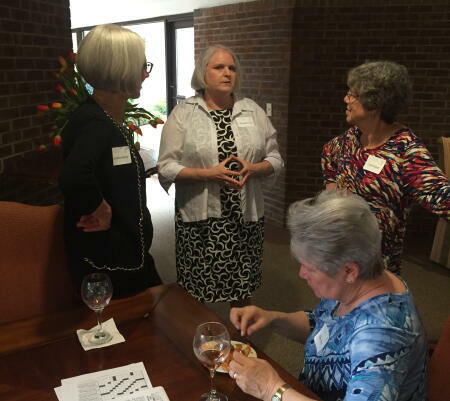 Elizabeth Cox (co-chair) spoke to the group about the importance of women's philanthropy. Susie Smith (co-chair) shared her personal experience of collective giving and the impact their grants have on the women and children of Moore County. This heartfelt event brought in two new members for the group. A future One and Done event is being planned for July.